Today is my 200th Post. I can’t believe I made it this far. I remember when WordPress gave encouraging messages because I’d reached my 5th post and then my 10th. I couldn’t imagine writing 200. I write romance novels. Contemporary women’s fiction is the category I’ve decided they fit into. I’ve started (and almost finished) four. I like female protagonists in their late-twenties / early thirties (like I keep thinking I still am). My protagonists are women who are searching for their place in the world, coming to terms with realistic relationships and (lately) having children. The novels are written in the third person, often from both male and female perspectives. So why is my first self-published novel written in the first person. By a sixteen-year-old girl. And why is it about dragons? I woke one morning, after a broken night full of strange dreams, and the entire story was in my head. Unfortunately by the time I’d wrestled past two small children to find pen and paper (or more accurately my mobile phone) the story had evaporated, as they so often do. I believe if I could only capture my dreams writing would come much easier to me than it does now. And that’s how Dragon Wraiths was born. By the beginning of May (less than a month after the dream) I had written 35,000 words and I still didn’t really understand what the novel was about. I hadn’t got to the part with the dragons. I was lost and decided Young Adult literature was not for me. I abandoned the novel and concentrated on releasing my contemporary novel, Baby Blues & Wedding Shoes (or Pictures of Love as it was called then) as a self-published ebook. My writing journey is interspersed with self-doubt, not just about my abilities as a writer but about combining writing with raising two small children. I often feel that, if I’m going to send them to nursery two days a week, I should be earning money on those two days. I wanted a finished book out there earning pennies and I felt the contemporary fiction was a better bet. Then in July I found out about the Mslexia Children’s Novel competition and remembered my languishing YA novel. 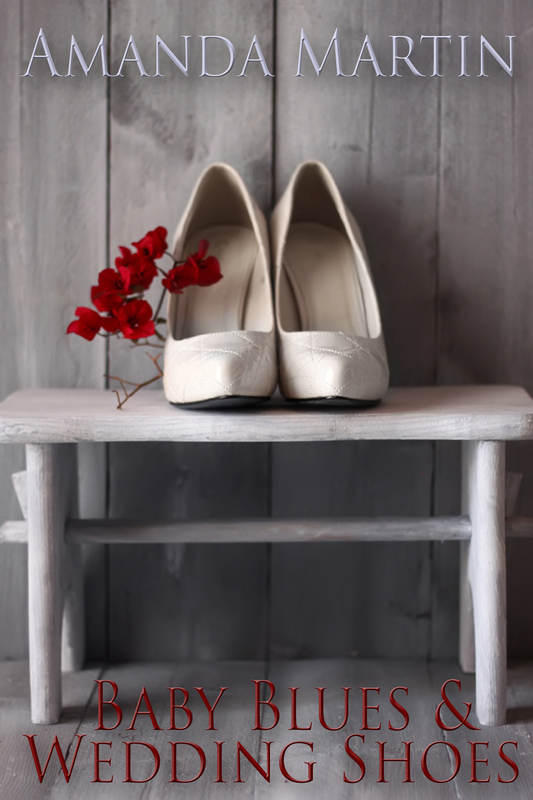 Baby Blues & Wedding Shoes was with beta readers and I decided why not? Suddenly I had a deadline of September for completion of the first chapter and November for the finished/edited manuscript. I discovered I work best to deadlines. Generally I’m terrible at knuckling down and getting on with editing but I really wanted to enter the competition. I started querying the novel, although it is over-length for a YA book at 109k words (the average is 60-70k). When that didn’t work I decided to self-publish and see what happened. And so here I am. It’s early days, I haven’t sold many copies but over 1200 have been downloaded during free promotion days. 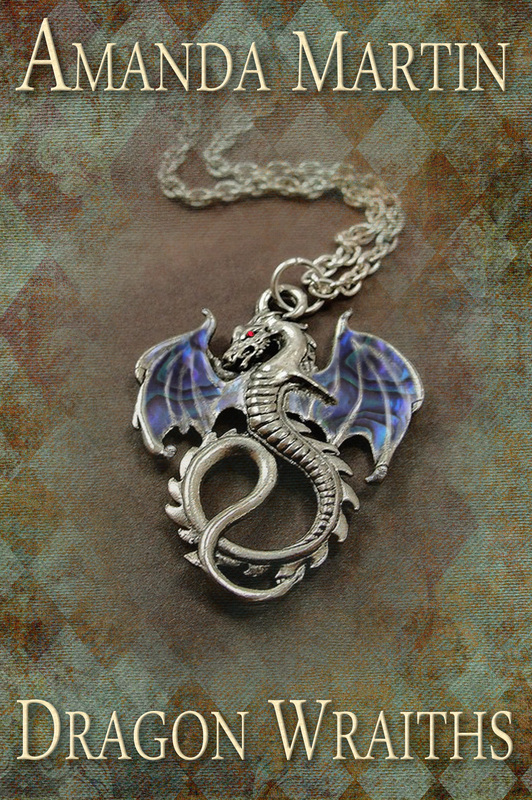 I’ve received several positive reviews, including one that compared Dragon Wraiths to Anne MaCaffrey’s Dragons of Pern series. Praise indeed. I’m still not sure self-publishing is for me. Or Young Adult for that matter. But I’m glad Dragon Wraiths found me, in my sleep-deprived state. I enjoyed writing and editing it more than anything I’ve done before or since. And who knows, one day it might be as famous as Dragons of Pern. Now wouldn’t that be nice? Claire flicked through the photographs on her iPad, as she waited for the serving person to bring her coffee. Maybe I should just put photographs up on the blog every day, rather than writing my usual waffle. Some of these are quite good. Her Burghley House folder had nearly 100 pictures. The tour had taken some time and there had been endless things to see. There was the shot from behind the building that was straight out of Kiera Knightley’s Pride and Prejudice. This one showed the rooms used for the interior of Castel Gandolfo in the Da Vinci Code movie. And that one was from Elizabeth: The Golden Age. Oh and of course all that lovely architecture and works of art. Not that anyone is interested in that sort of stuff, certainly no one who follows my blog. Claire looked at the photograph of the stair-lift going up the ‘Hell Staircase’. There was something slightly creepy about old and infirm people being able to take a stair-lift to hell. She shook off the thought as inappropriate, and continued to flick through her images. Draining the last of her coffee, Claire looked at the blue sky and then at her watch. It’s too nice to get straight back in the car and drive to the next hostel. She wandered into the rose garden that filled the courtyard outside the Orangery. There was a low railing surrounding a large circular pond. Slinging her bag over her shoulder, she went to peer in the water, phone in hand to take some pictures. “Holy crap!” Claire nearly dropped her phone, as a fish the size of a small shark rose out the water beneath her. Heart thumping loudly, she took a step back, then glanced around to see if anyone had witnessed her outburst. Relieved to see she was alone, Claire ventured back to the railing and peered into the murky pond. Dozens of silent shapes glided and danced in the water, glowing gold or white in the darkness. I hate fish. Particularly big fish. With a shiver, Claire took a couple of photos, then turned and went back through the restaurant to wander in the sculpture garden. In the distance a clock chimed, startling Claire from her reverie. She checked her phone and was shocked to see she had been in the garden over an hour. Ambling beneath the trees, seeking out the hidden sculptures, she had been lost in her own meandering thoughts, wondering what it might have been like to live in a great house like this. To walk through the gardens collecting flowers and having secret assignations with ardent lovers. Okay, that’s too much A Level English Literature going on right there. I’m sure, in the real world, handsome men didn’t profess their undying love and sweep the lucky lady off her feet. No different then than now. To her right, half-hidden by trees, a large metallic face with an enigmatic expression gazed across the garden. She’d seen scrawny cows and metal deer, and a meadow of silver pots that look like an alien invasion. Despite studying The Arts at university, sculpture wasn’t really her thing, so she was surprised at how peaceful the garden had seemed. All good things come to an end, though. Time I was getting a wriggle on to Woody’s Top. Another lovely self-catering hostel. I need to either buy food or get there in time to go to the pub. She hesitated. The latter, definitely. A glass of wine is long overdue. 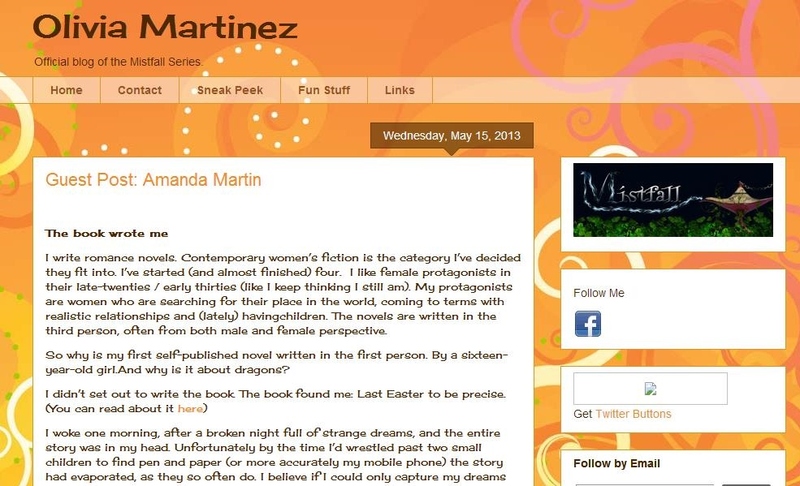 Posted on May 19, 2013 by Amanda Martin	• This entry was posted in 2013 365 Challenge, Dragon Wraiths, My Novels, My story, Pictures of Love/Baby Blues and Wedding Shoes, YHA Novel Two-Hundred Steps Home and tagged 2013 365 Challenge, Baby Blues & Wedding Shoes, Dragon Wraiths, Dragons of Pern, Guest Post, Pictures of Love/Baby Blues and Wedding Shoes, postaday, Reviews, Self-publishing, Writing, YHA Novel Two-Hundred Steps Home. Bookmark the permalink. I love this story! So many of my novels start out as dreams too, and evaporate, leaving just a teaser! Wouldn’t life as a writer be easier if we could transcribe our dreams? Mine also seem to be full of conflict, when I’m struggling to get conflict into my novels. I have yet to feel this way…so that’s why I suppose I haven’t written a book that I deem appropriate for showing others? It doesn’t feel like that normally Ameena, normally the words are dragged out one at a time and laboured over. It was a great feeling and one I hope happens again at some time in my life. It’s probably why Dragon Wraiths is the only finished novel, although the last thirty thousand words were a long hard slog trying to work out how the story ended!